For Jews in Nazi-occupied Paris, every day brings new dangers. So when Odette's father is thrown into a work camp and the Nazis suspect her mother of helping the Resistance, Odette is sent to the French countryside until it is safe to return. 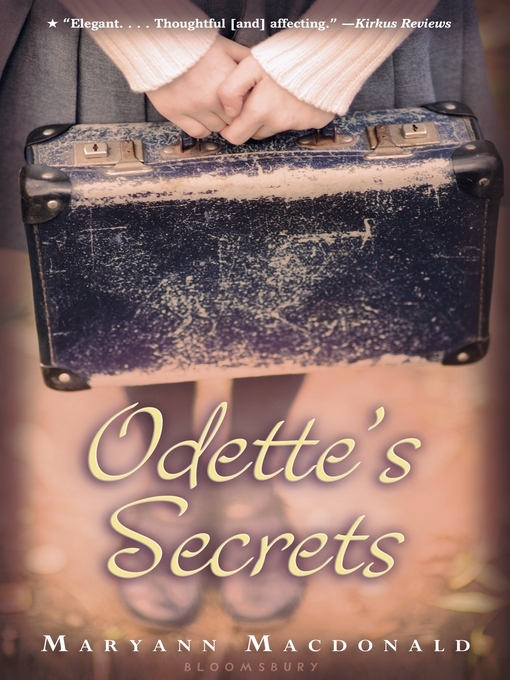 On the surface, Odette leads the life of a regular girl, going to school, doing chores, even attending Catholic masses with other children. But inside, she is burning with secrets for the life she left behind, and the identity she must hide at all costs. Yet when the war ends, the cost of keeping secrets takes an unexpected toll: can Odette return to Paris as a Jew, or has she changed too much? Inspired by the life of the real Odette Meyer, this moving free-verse novel is a story of triumph over adversity.